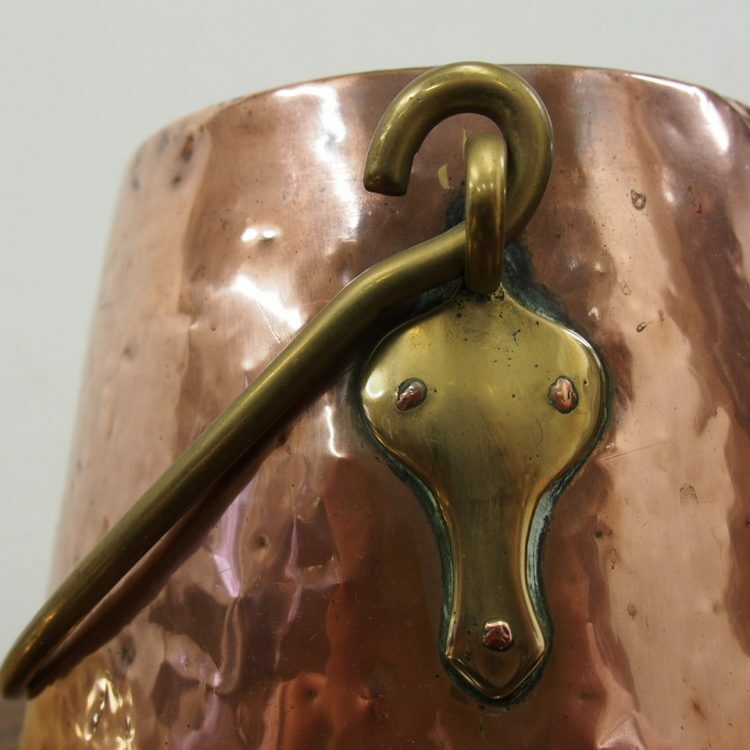 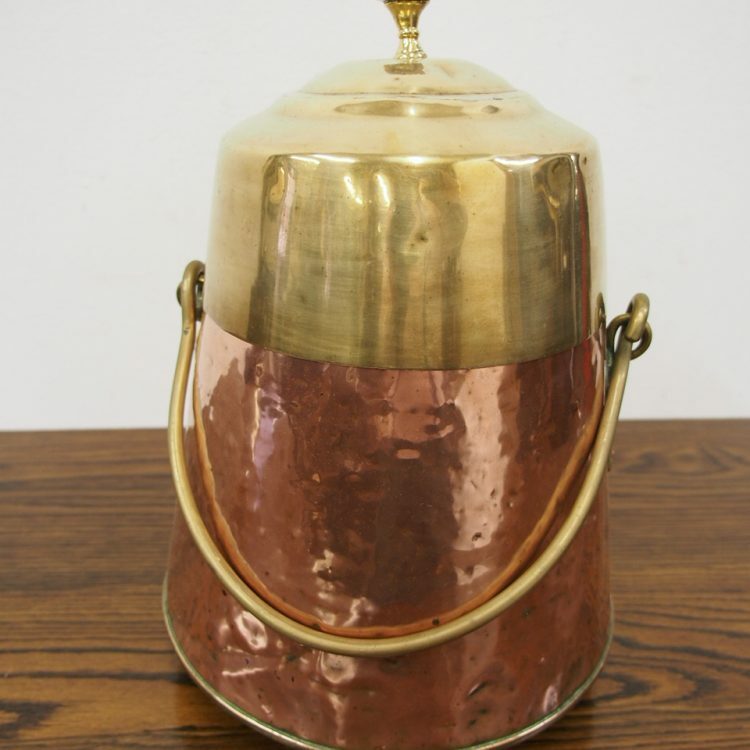 Circa 1880, Dutch copper and brass pail or bucket. 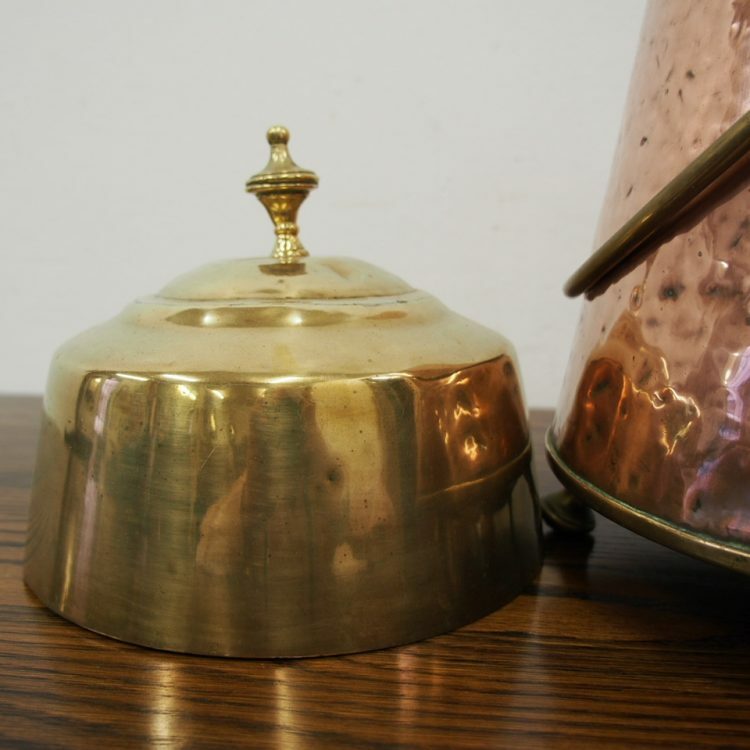 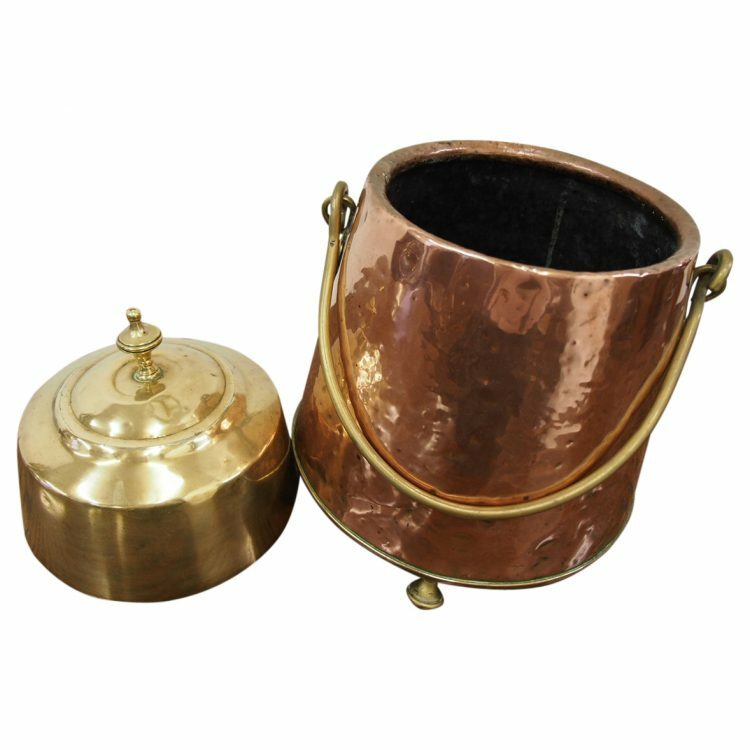 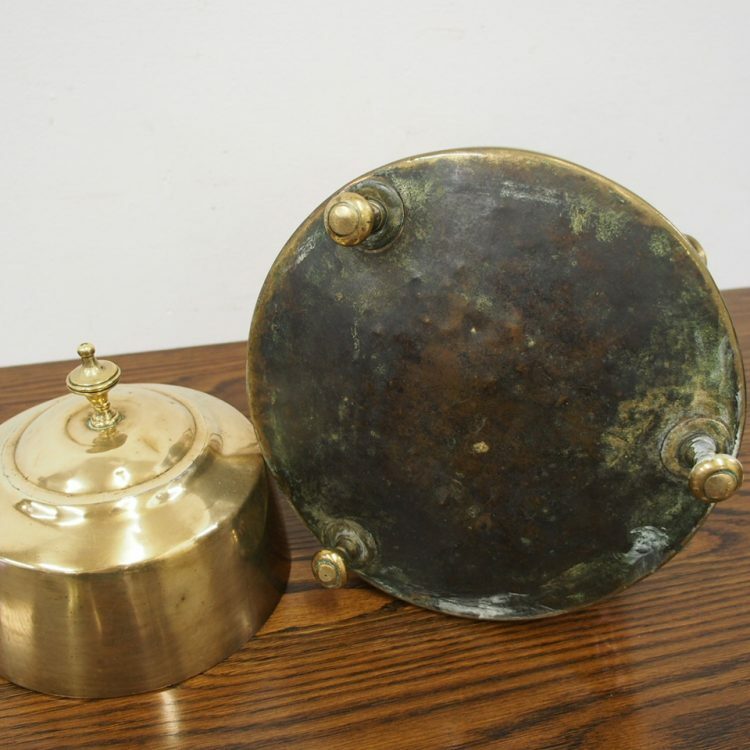 The brass dome-shaped lid has a brass finial, the tapered copper base has cast brass handles and a brass rim. 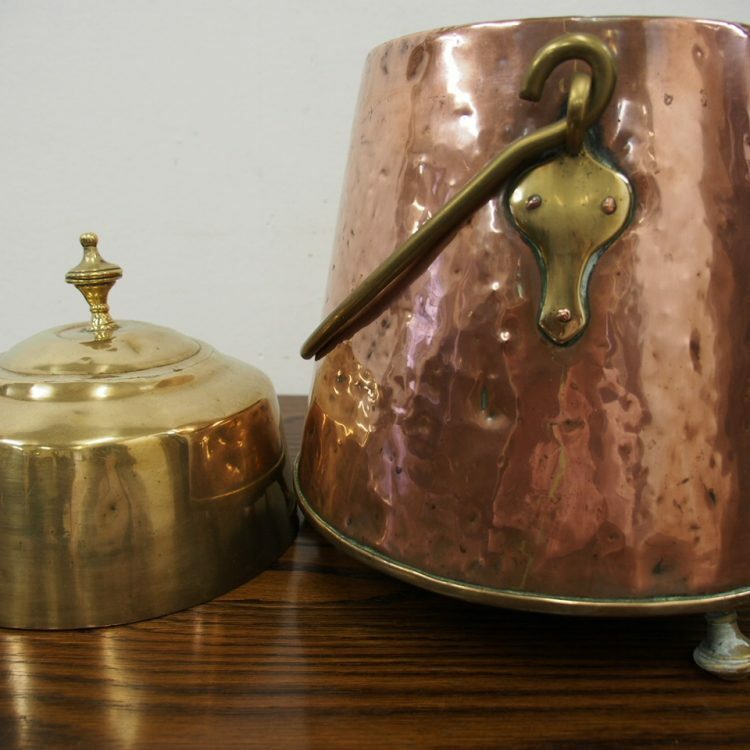 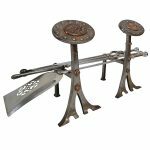 It all stands on turned, brass feet.